Pack your lunch or carry your supplies with this nifty tin tote! It includes a handle and a metal latch. 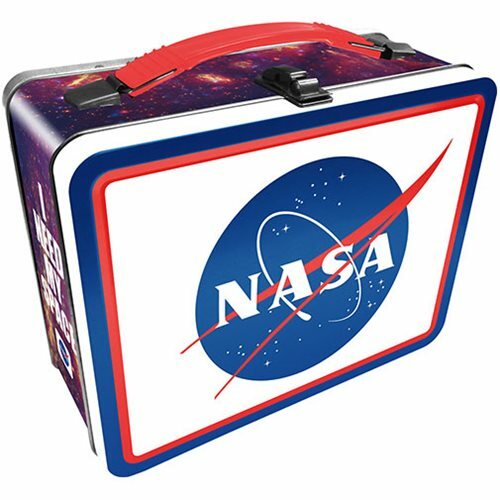 This NASA Logo Large Gen 2 Fun Box measures 7 3/4-inches x 6 3/4-inches x 4-inches. Ages 14 and up.